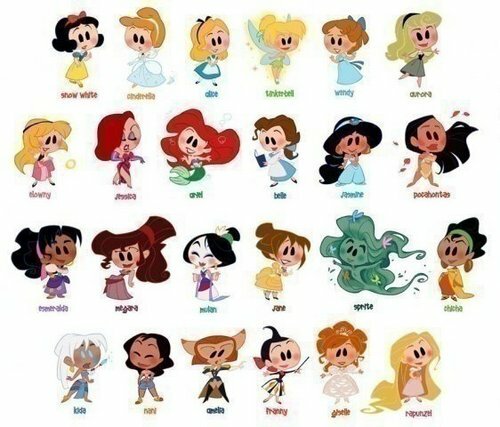 princess caricature. . Wallpaper and background images in the princesas de disney club tagged: disney princess. Oh this goes in chronological order! Lol, fail on my part. Oh, its missing Tiana though. Oh wow. They forgot Tiana. They should've taken that Franny lady out. ^^She's from Meet the Robinsons. She's the girl Lewis ends up marrying.